A 30-year-old man has been arrested for stabbing his psychiatrist to death in a hospital in Seoul on Monday. 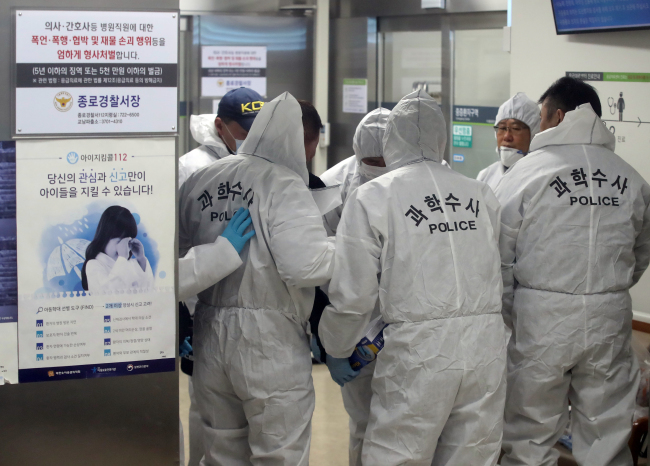 The unidentified man used a sharp object to attack a psychiatrist at 5:44 p.m. after an in-person consultation in Kangbuk Samsung Hospital in Jongno-gu, Seoul. The 47-year-old psychatrist was immediately taken to the emergency room, but was declared dead at around 7:30 p.m. The assailant was subdued by hospital staff, who reported the killing to the police. The police said Monday they were investigating the circumstances surrounding the crime, adding they would seek to begin an autopsy on Tuesday.